It’s likely you know what a lead magnet is. Every time your browse Facebook you’re likely presented with a barrage of offers from a range of businesses providing you with a free e-book or similar. This article provides a very brief introduction to the lead magnet, their relevance in your marketing funnel, how they should be created, and the ideal mechanisms to ensure your audience will want to download them. Note that we tend to use the term “relationship offer” rather than lead magnet because the former term tends to diminish their purpose; that is, to develop an offline relationship with your online audience. When a user lands on your website we’re looking to convert that cold prospect into a customer. While a phone call is the ideal conversion, it’s possible that our visitor is simply window shopping and requires additional incentive to take interest in our services. The lead magnet is a high-value product proposition (or incentive) that you will give away in exchange for a name and email. The lead magnet triggers a serious of strategic emails as automated follow-up (offering additional information, incentives, and downloads) in order to build trust, establish expertise, and have the user make further contact. As part of our “Magic Lantern Framework“, the emails add trust to our relationship and are designed to generate a phone call (our email technique is built upon our “Symphony Framework” and early “Sonata Model”). It’s somewhat pointless investing any time or money on Search Engine Optimisation (SEO) or advertising programs if our website and landing pages aren’t designed to convert. In fact, every single touch-point in a website and follow-up journey should be optimised for maximised conversions. If you’ve had any contact with us in the past you’ll appreciate that we advocate every single page on your website be optimised for conversions. If every page on your website is a potential organic entry page, then every page on your website is a landing page and should be treated as such. Just because you have high-performing dedicated landing pages is no excuse to ignore other areas of your website. The Internet has become plagued by poorly curated and low-value lead magnets. Discussed shortly, the plethora of disappointing and low-quality lead magnets (in the finance space, in particular) is slowly creating a broad distrust of the concept, and our audiences are slowly relegating lead magnets into the same category as banner ads. That said, they are still one of the highest means of generating leads off a landing page. The challenge on our end is mitigating the damage done by others with their pointless ‘two-and-a-half-page reports’ and generate high-quality content that delivers real and very specific value. When a user downloads a lead magnet they’re inviting you into their inbox. Treat that privilege with contempt or fail to provide value and will you will alienate that individual. Our proprietary Gravity Framework is simply the sources of leads and potential traffic to your business. While we’ve defined the primary sources of lead generation below, in reality there are numerous paths that a consumer might take to reach you; we’ve narrowed it down to just the primary groups. Each group of consumers is treated vastly different, each is managed in different ways, and each requires a very specific type of lead magnet in order to convert (keeping in mind that there are numerous sub-groups in any primary group). Each source of incoming business has a varying heat index (or cost factor), and each represents a varying degree of ‘difficulty’ in order to convert. For example, the most challenging group to establish a dialogue is the ‘public’ in almost all cases. There’s a clear cost associated with their acquisition and there’s a challenge in order to convert them into business… and then there’s another more difficult challenge to turn them into brand advocates. On the other end of the scale is ‘family and friends’. While many are protective of their own family (and often choose to separate church and state) they are usually the easiest to convert and far easier to develop as referrers than any other group (this is a group most associated with local service industries). The single biggest difference between prospects and leads is their engagement; leads are characterised by one way communication (usually just a mailing list subscription), while prospects are characterised by two way communication. 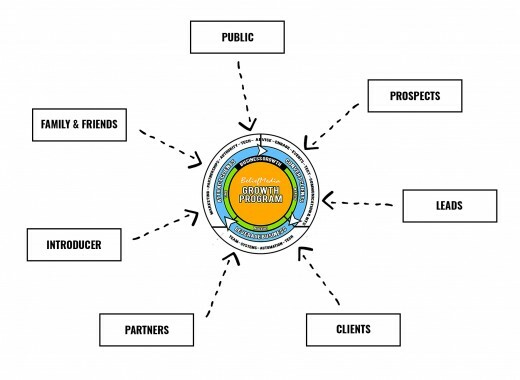 A lead is introduced to a marketing funnel and is nurtured into an opportunity. One of the most overused works in marketing language is “leads”, and the marketing industry generally hasn’t established a shared vocabulary when it comes to defining exactly what they are. 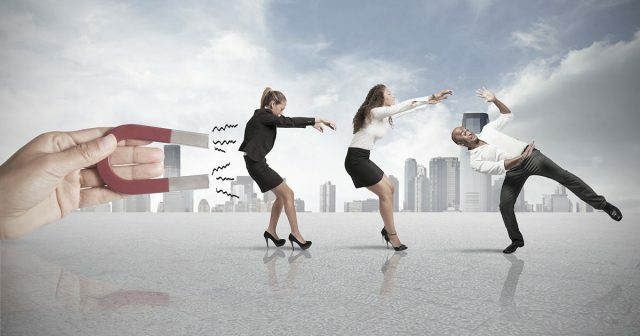 A lead is of little value now unless they’ve expressed intent by providing a phone number or they’ve engaged in real communication indicating that they would like to work with your business (a lead is a prospect waiting to happen). So, while we work on leads in terms of statistically defining the cost of a prospect (Customer Acquisition Cost, or CAC), the group is usually (and initially) nothing more than a passive mailing list subscriber. Our mailing list program is designed to edge that ‘passive’ consumer into our marketing funnel and convert them into prospects (this is the purpose of our initial Sonata email framework). Digital marketing makes lead generation easy. It’s curating a prospect and then further developing an opportunity that takes time, effort, and business resources. Once an individual makes contact with your business and your sales process begins, that person will now be an opportunity (meaning that a deal will progress if they meet qualifying criteria). The reason a consumer will be drawn to you is generally for one of two reasons: they have problems they don’t want, or results they want that they don’t have (albeit connected to the former). Either way they’ll be contacting you because they need solutions or opportunities. Our lead magnet (or “relationship offer”), curated for each platform-independent group in the Gravity framework, will take our consumer one step closer to a solution. The term ‘Lead Magnet’ has earned its place in marketing vernacular despite being a little objectionable. The phrase is derived from ‘Link Magnet’, which is itself derivative of ‘linkbait’ (a damaging SEO/conversion practice still widely used today, and commonly associated with ‘clickbait’). While the premise of a lead magnet is honourable, its online ancestry dates back to the long-form salesy squeeze page (the offensive version of a landing page) often associated with deception and deceit. 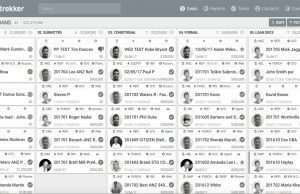 The old squeeze page was designed to squeeze contact details or a sale from an online user at any cost. The landing page was full of bold testimonials (fake, of course), inflated worth, and false promises. The squeeze page and the potential income that was derived from their use gave birth to a new wave of “digital marketers” (i.e. scammers) that were in it to make money at the expense of their soul. They’d push ‘magic potions’ that had no value whatsoever, and they attached an arbitrary price to a product that promised “secrets” and opportunity – none of course which was real. The $7, $27, $67, or $97 price tag (have you seen these prices before?) usually resulted in the download of a product that provided nothing more than a few pages of garbage that could have been found with a simple Google search. These charlatans dragged the legitimate digital marketing industry into a realm of disrepute akin to used-car salespeople. Origins aside, in the real and modern world of business, the only means of providing real value is by providing real solutions to everyday problems, and the free downloadable lead magnet is intended to take a user part way to finding pain relief for the problem that drew them to you. A phone call with you will take them the rest of the way. So, while the old Squeeze Page might have intentionally over-promised and grossly under-delivered, the landing page (with its associated lead magnet) is a means to slightly under-promise and then overwhelm. It’s an opportunity to set yourself apart from your competition and clearly identify you as the business of choice. There has been a name for the ‘lead (or link) magnet’ on the Internet long before it evolved into the landing page concept that exists today – it was (and still is) Content Marketing. Your lead magnet is content, and by promoting it you are engaging in content marketing. The underlying concept of the lead magnet by todays’ salesy standards is that we’re sharing the content with a heightened expectation that it will convert. There are still countless tactics to promote lead magnets that are being used today for which we vigorously object. For example, a fake countdown timer suggesting that a lead magnet is only available for a short time is a lie – don’t do it. Advertising a live webinar (as a magnet) when in fact it’s a reply recording is another lie; if it’s a replay don’t be afraid to say so – it doesn’t diminish the value. The list goes on and on. Generally speaking, if a company is prepared to lie to you in their marketing material they’ll do the same once you’re working with them. This kind of ‘urgency’ marketing tends to be rewarded in our industry because it works. However, it’s something we won’t do and we won’t allow our client to do. A lead magnet is what it is: pain relief. If it’s got enough nicotine in it your users will come back to you wanting more. Lead magnets are not a new concept; digital media has simply made the process faster, more efficient, and cost effective (we’ve used them for over 20 years). An early example of long-form advertising with the purpose of attracting readers to a mailing coupon comes to us via one of Louis H. Engel’s most innovative advertisements. Considered one of the the one hundred most influential ads in North American history, his What Everybody Ought to Know about This Stock and Bond Business advertisement appeared in the fall of 1948, approximately two years after he had joined Merrill Lynch. The ad consisted of six thousand words of very small print squeezed onto a full-size newspaper page (the full-page broadsheet advertisement was the original landing page). The copy was informational and educational – and textbook dry in tone. There were no explicit references to the firm’s own brokerage services in the entire text, but at the bottom right of the page was a small calling card (call-to-action) that identified Merrill Lynch as the sponsor and invited readers to request free reprints of the advert in pamphlet form. In the history of print media, no single advertisement with so much seemingly boring copy had ever been published for any product or service. Edwin J. Perkins, author of the book Wall Street to Main Street: Charles Merrill and Middle Class Investors provides this excerpt on Engel’s influence on Merrill’s promotional efforts. At five thousand dollars, the cost of running the full-page ad in the New York Times was extremely high relative to the size of the advertising budget (2 percent of the annual appropriation, to be exact). How many people, the partners wondered, would actually make the effort to read the text and how many, in turn, would respond by asking for reprints of a text that could easily be clipped right out of the newspaper? The partners also debated whether to spend so much money for an essentially generic advertisement that was likely to benefit rival firms. Despite his superiors’ reservations, Engel insisted on gambling a portion of his annual budget on the innovative concept. Finally, a compromise was reached. The partners agreed to allow Engel to run a trial advertisement in the Cleveland Plain Dealer, where the cost of space was much lower than in New York. If the ad bombed, they could drop the whole idea without wasting another nickel of the advertising budget. When the public response to the Cleveland experiment proved encouraging, Engel received permission to test the ad in the New York Times. During the week or so after publication, the firm received more than five thousand requests for pamphlet reprints. “What was most amazing,” Engel recalled, “was that we got hundreds and hundreds of long and thoughtful letters.” Some respondents were profusely appreciative. 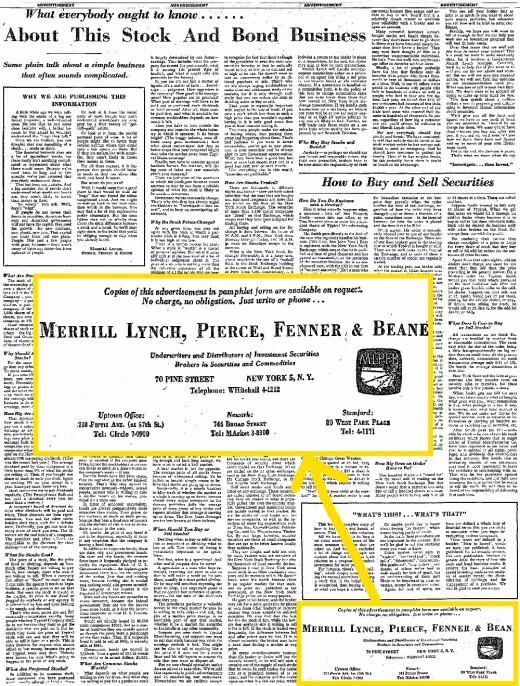 One person wrote: “God bless Merrill Lynch … I have been wanting to know this all my life … I owned stocks and bonds and I never really knew what I owned.” The firm ran the same advertisement, or slightly revised versions, in newspapers across the country, not only during the next few months, but, indeed, for years thereafter. The total number of responses exceeded three million, and those returns translated into millions of prospective customers for the firm’s eager brokers. With that one concept alone, Engel proved himself a promotional genius. The advert set new standards for brokerage firms and other enterprises in the financial services sector. While the concept of a lead magnet or long-form copy was nothing new, the ‘modern day’ version of the principle was essentially born with this campaign, and it dictated the manner in which long-form campaigns would follow (most notably via advertising genius David Ogilvy). Note the option to respond to the advert in the bottom right (the “old-school” method in which to obtain contact details). 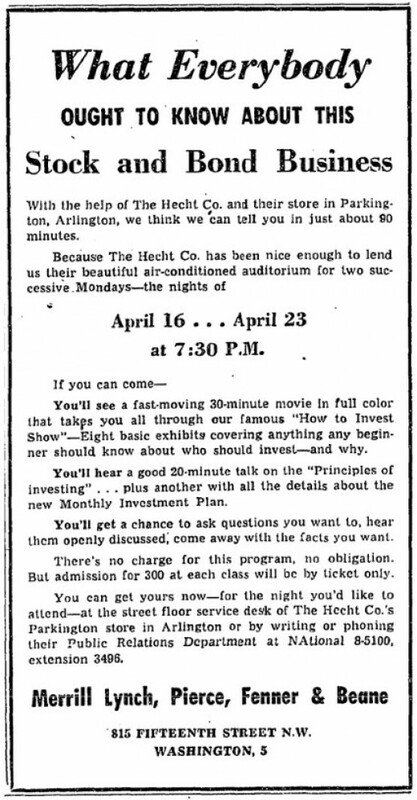 The prospect would later receive an invitation to a seminar (as part of the marketing funnel) where the audience would watch a 30-minute movie in full colour that took them through the “How to Invest Show”. Pictured: Engel’s most famous and innovative advertisement ran on October 19, 1948 in the New York Times. The ad contained 6,540 words – the most anybody had ever used in a single page. Notice the small and unobtrusive call-to-action. After Merrill Lynch established its name they ran an advert in 1956 with a direct invite to the seminar (they’d already established widespread brand recognition and trust). The effort and cost historically required to simply sit a prospect down in front of a 30-minute video presentation was extraordinary. Think of the ease that you can achieve the same marketing funnel penetration via video today! An early version of a long-form advertisement that had a snail-mail call-to-action is the US. School of Music advert below. Created by early advertising legend John Caples, the “Music Lessons” advert taps into our emotional desire to stand out and prove others wrong while, at the same time, making the point that we all want to create music. John Caples 'Music Lessons'. Tapping into our emotional desire to stand out and prove others wrong. David Olgivy of Ogilvy & Mather wrote a series of long-form advertising for various industries providing actionable information on how to advertise. One such ad is the “How to create financial advertising that sells” advert than ran in 1974. Their purpose was to direct the reader towards their offer. 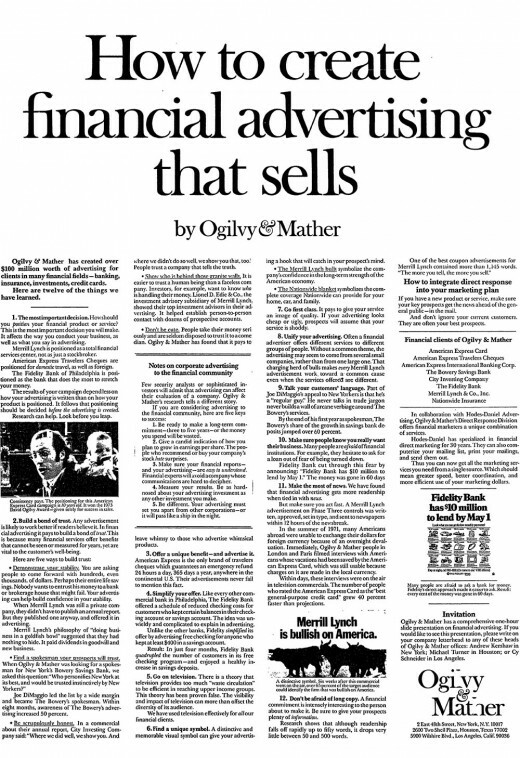 Of interest is Ogilvy’s line “the more you tell, the more you sell” (top right). While Dr Charles Edwards might have said it first, Ogilvy made it famous. There’s no question that long-copy sells if you’re selling the right product. There are occasions (the finance market is one of them) where short-form well and truly outperforms the long-form alternative. In essence, if you’re detailing the virtues of your offer, the long-form does work. However, long versus short copy is beyond the scope of this article. 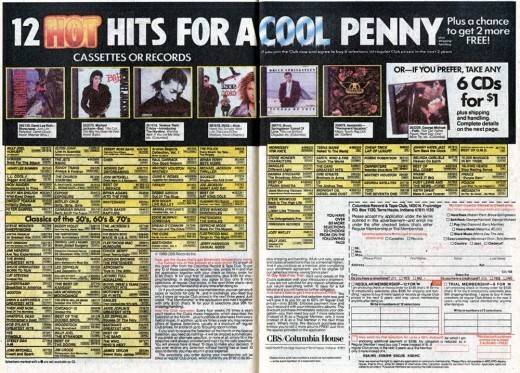 Who can forget the somewhat irresistible offers that provided new release music cassettes for mere pennies? Of course, the fine print locked you into a contract to buy more and more of them over a contracted term. Various laws around the globe has generally labeled this lack of transparency as misleading, and the adverts are generally highly moderated by publishers… but failing to deliver upon your promise will have the same effect as these dodgy cassette clubs. We’ve reprinted the Ogilvy series of adverts into PDF format for our Marketing clients – they’re fascinating and essential reading. We typically categorise lead magnets into two main categories for our clients: A (primary) and B (secondary). The A category magnet (primary, or hook) is the group of documents that are intended to initially draw people into your marketing funnel. It should be unique, high quality, and specific to a certain subject matter. This is the magnet we’ll promote via various marketing efforts. The B category magnet (secondary, or sinker) is one that doesn’t quite fit the criteria for a primary magnet but is instead used in your email program to further educate your prospect with high-value content. This is often repurposed content in a distributable format. Virtually all of the content you manufacture for your website should be packaged up into distributable PDF booklets. The format allows the information to be disseminated as part of an email program without having to send prospects to your website – sometimes an advantage (and certainly an advantage when sending content to a lead over the telephone). The type of lead a magnet is usually determined by the audience we’re appealing to. While there are hundreds of types of lead magnets, we’ve found that the following list work better than any other in the finance field (at least early on in your marketing journey). Not all of the following are ideal as a primary lead magnet but instead work better as part of an email relationship. Information Booklets. No lead magnet is more ubiquitous that the PDF information book or guide. They do work, and work incredibly well. However, as we discuss shortly, they should build upon information with a personal bias (by way of case studies) that support your claims, and with an unbiased approach to factual areas. Exclusive Podcasts. We now have clients that carry broadcast quality microphones in their briefcase wherever they go on the chance they come across somebody worth talking to (although a smartphone application also works in most cases!). The added benefit of including another individual into your podcast products is that they may introduce their own audience to you by way of a newsletter or similar. Podcasts are the new radio. Video Tutorials. Video works better than any other medium – simple as that. No other form of marketing is more personal, more compelling, and more effective. Testimonials. The testimonials are normally sent during the course of our Sonata email program. They do not work well as a lead magnet, but they do give you credibility later on as you start to establish a relationship with your potential client. Case studies. 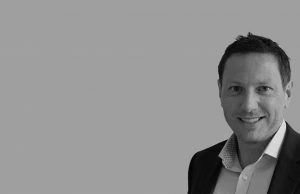 If a lead magnet is to be unique and vastly different to every other product on offer, the one means of accomplishing this is via case studies. 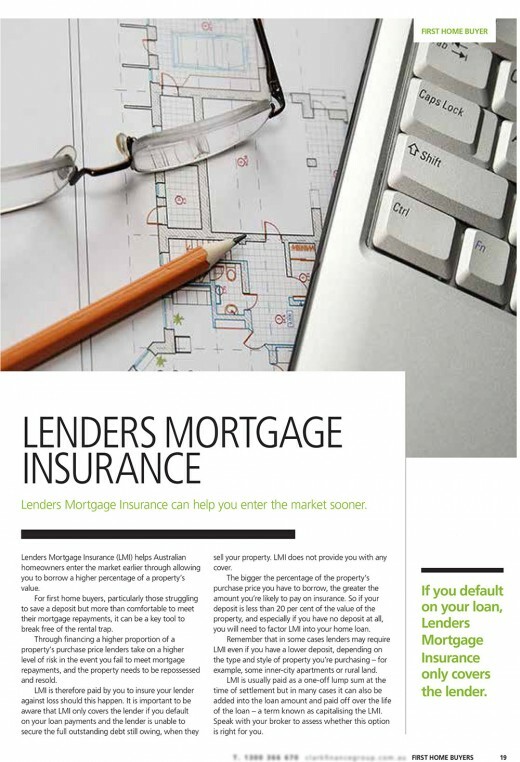 They are unique to you, and only you can share the specific of your challenging loan experiences. While case studies can be effective as a primary magnet, we tend to find they work best as part of an email program..
White Papers. 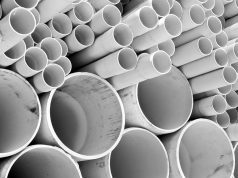 White papers are an authoritative report or guide that informs readers concisely about a complex issue and presents the issuing body’s philosophy on the matter. White papers are an opportunity to discuss underlying philosophical issues associated with your industry and showcase their expertise. Calculators and Spreadsheets. Calculators are one of the most commonly searched terms in the finance market (via search engines). A good budgeting spreadsheet or payment schedule spreadsheet often works extremely well. We tend to supplement any spreadsheet with an information booklet detailing the formula necessary to generate results. Product and Bank Comparisons. Sometimes it’s beneficial to compare different banks, products, and loan features against each other. 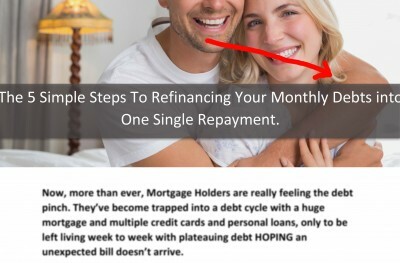 It’s not uncommon for a borrower to have a Pepper product and not understand that they’re paired with this lender because they don’t qualify for any other. Not all banks are created equal, and the same is obviously said for products. Property Reports. Everybody interested in buying a property is interested in the housing market. Real-estate is intrinsically connect to the mortgage market and opens up hundreds of other opportunities to share your expertise and that of your partners. Checklists. Checklists often perform well as relationship offers – particularly when they relate to areas of wealth, such as “Does Your Property Qualify for a Granny Flat”. We should be creating checklists for anything and everything related to the finance and property market. A checklist is an easy and essential means of assessing anything that’s new to us. Home Owner DIY Information. Many interested in property are also interested in Interior design, home renovations, home improvement, gardening, and other related topics. One of the most popular giveaways we’ve seen in the finance space came from a broker that shared how to create a small home garden to feel a family of five (over 1 million downloads). Venturing into the DIY space explodes your lead magnet (and blog) opportunities. In reality there is no end to the type of lead magnet you might offer. The premium lead magnet that most people are reluctant to subscribe to is a no-obligation consultation. Your time and a consultation is the highest value proposition you can offer yet the psychological barrier preventing a prospect from picking up the phone early in a relationship is extraordinary. A lead magnet in isolation often doesn’t have intrinsic value; it’s the copy, headline, image, context, and the periphery of the associated advertising that gives it value. Sadly, the art of writing compelling copy is at risk of being obliterated by a new emoji generation of charlatans posing as “Facebook Ad Experts”. We’re slowly losing the lost art of copy that is connected to the human experience, or copy that plays the English language like a fiddle and is curated as if it were art. 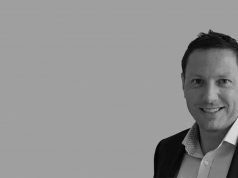 The availability of information on the Internet, and the perceived lack of value of many downloadable digital products has compromised the perceived value of a lead magnet – high performing copy is essential. Mainstream advertising portals have made advertising and customer reach easily accessible and advert creation exceedingly simple. While this accessibility is a good thing, the paradigm shift has resulted in the dumbing down of creativity and the pollution of advertising as an art form. Each passer-by had a quick choice to make, one familiar to commuters in any urban area where the occasional street performer is part of the cityscape: Do you stop and listen? Do you hurry past with a blend of guilt and irritation, aware of your cupidity but annoyed by the unbidden demand on your time and your wallet? Do you throw in a buck, just to be polite? Does your decision change if he’s really bad? What if he’s really good? Do you have time for beauty? Shouldn’t you? What’s the moral mathematics of the moment? Three days earlier, Bell had played to a full house at Boston’s Symphony Hall, where fairly good seats went for $100. But on this day he collected just $32.17 for his efforts, contributed by a mere 27 of the 1,097 passing travellers. 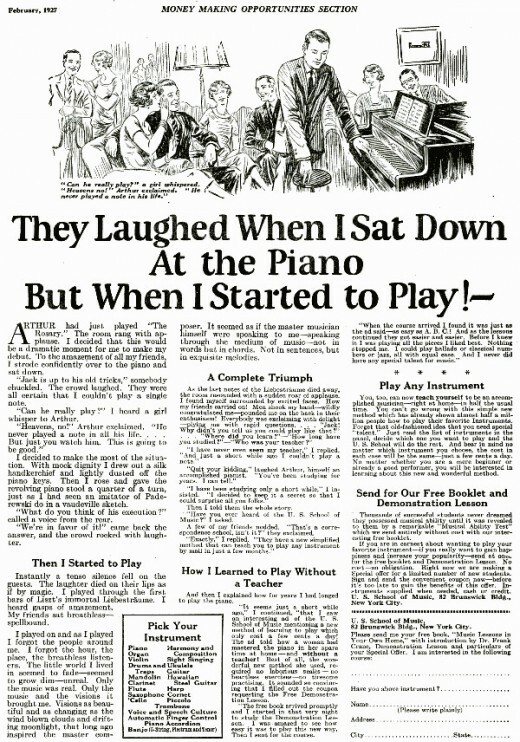 The same experiment was conducted in May 1930 by the Chicago Evening Post with violin virtuoso Jacques Gordon. Described by the Post as “… a story about artistic context, priorities and the soul-numbing gallop of modernity”. The results were the same. It doesn’t matter how valuable an offer is, if we’re showing it to people when they’re not receptive to our message then it will go unnoticed. Digital marketing mitigates this problem by providing us with the tools to show our message to the right people at the right time (not during rush hour). When we’re scrolling through 300-feet of social media content every day, what we advertise need to matter, needs to have value, and our offer needs to stand out. In its simplest terms, a value proposition should be a clear statement that explains how a product solves a pain point, communicates the specifics of its added benefit and states the reason why it’s better than similar products on the market. The ideal value proposition is concise and appeals to a customer’s strongest decision-making drivers. 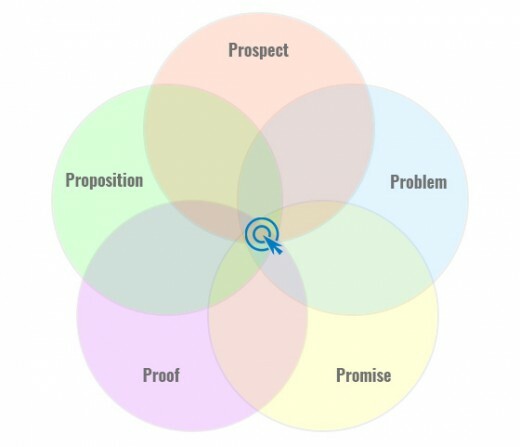 A lead magnet is the product of a value proposition. We make the promise that our product is of high quality (the “pain relief promise”) and we set an expectation in the mind of our user. Fail to deliver upon your promise and you will totally alienate your prospect. What we typically see in the finance space are lead magnets that are nothing more than advertising disguised as something else (franchises typically manufacture rather effective magnets but smaller poorly represented brokers tend to struggle with the concept). In the case of our finance clients, we see their primary role as an educator, and second to that is the role of a service professional. The fact they will write a loan is somewhat irrelevant in terms of your job description. If we focus on this need to provide an education above all else, the value becomes clear. Of course, many businesses are similar in nature… but there’s certainly no one-size-fits-all approach to marketing. Again, the highest value asset that you can give a prospect is your time via a consultation, and this is the ultimate end-goal of any interaction. Establishing yourself as an industry expert and as an educator will reduce the psychological barriers preventing a prospect from making contact because your value is a known entity. The Conversion Kaleidoscope shows the basic elements to make a lead magnet convincing. First published in our own 2002 book, Business Online Lead Generation, it’s since grown to a mindmap with over 1000 child elements. It is a remarkable and unusual challenge having to convince a cold prospect that our free product has intrinsic value… and it’s the job of our highly curated advertising that makes our case, and it is a landing page that adds further incentive before facilitating the transaction. We’ll use the finance industry once again as an example of how lead magnets should be curated. By virtue of shocking industry representation we see brokers paying high fees for a service that is nothing short of disgraceful. Very basic model of email segmentation. The booklets mentioned in the framework are just a start. You should absolutely have an information guide that details every consumer-facing area of your business. This is your business and you need promotional material in order to sell it. 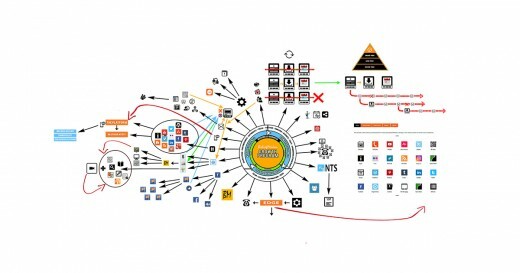 The simple diagram shows how each landing page will cater for an additional audience. The email framework that follows is specifically curated for your business to fit your culture, tone, and services, and it’s tailored specifically for the audience opting in to you list (for example, you don’t want to provide first home buyer information to investors). While we provide generic email templates (we usually give them away as a lead magnet), we’d never advocate their use by a client. Each guide will have its own landing pages and/or they’ll be offered on relevant pages of your website. Each guide will detail each topic in far more detail than what would ever be expected on your website. 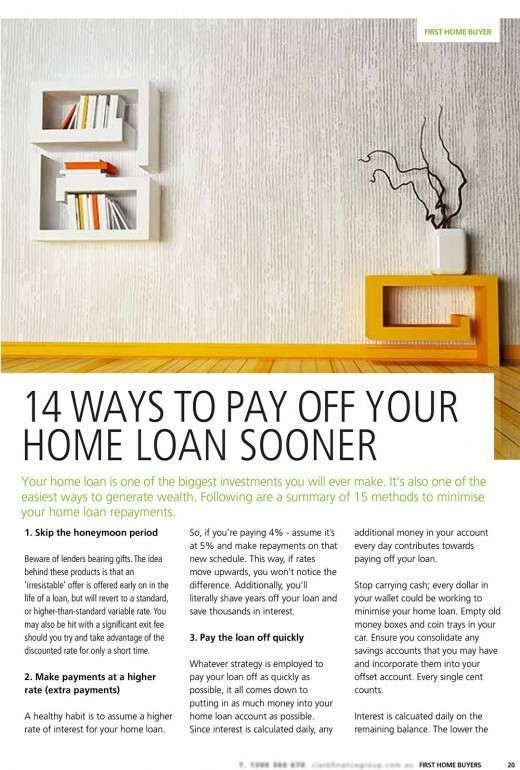 Incorporate at least one linked video that shows how to pay your home loan off sooner (fortnight repayments, offset accounts, credit cards, additional payments etc.). We’ll optionally include a link to a podcast or similar discussing various financial matters. We will include numerous case studies to detail the difficulties or obstacles that might be encountered with a specific loan type. We will add relevant testimonials (claims without proof = hype). A lead magnet needs to set itself apart, and it should be an irresistible high-value gift. The typical two-and-a-half-page report will often have the opposite effect to that which is intended. To preserve space we’ve published a basic introduction to landing pages here. If you’re going to advertise a free report that solves problems, your report should actually save problems. We download about every finance lead magnet that makes its way onto the web and the results are disappointing (to say the least). Consider the examples below (remembering that they’re awful yet typical examples). We’re seeing more and more brokers gravitate to poorly curated templates. Consider the following abomination. The headline formatting aside, the 4-page content is overwhelmingly bad. Remember, bad lead magnets don’t convert! The second image shows another document where a scheduling link wasn’t included in the generic and poorly formatted template. 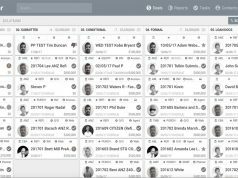 Note: Belief does not use third-party tools for scheduling or calendar management but rather a fully integrated calendar solution. The two screenshots above are just two of countless examples. 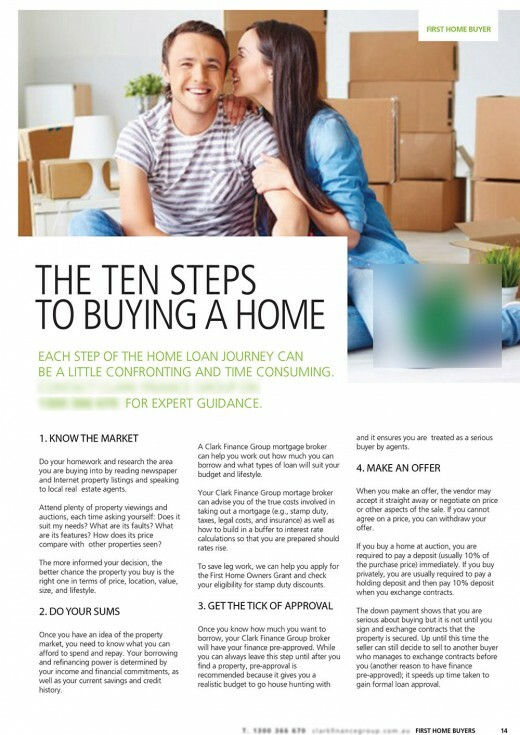 Why is it that the mortgage market – facilitating the most significant investment many will ever make – is supported by garbage marketing material? We talk more about this pandemic in a forthcoming article discussing the atrocious marketing representation in the finance market. In contrast, here’s just three pages from a 40-page book we recently manufactured for a client (identifying information is blurred). We still produce smaller and shorter high-quality reports (occasionally suitable for Facebook) but they’re supported by larger volumes of value-based information. Our financial booklet system supports the creation of any number of information books with the click of a button. What might take you weeks will now take you just a few minutes. While it’s a small point, it’s worth mentioning that your document should be manufactured to be readable. Our assessments of text are made with us of the Flesch-Kincaid readability assessments. In essence, you will need to ensure you’re mindful of the need to write for your majority audience in a language and tone that they’ll relate to (our example pages above serve as an example). For example, take the following passage from The Bible (Ecclesiastes 9:11, King James Version, pictured below). George Orwell wrote a parody in his paper, Politics and the English Language to ridicule the writing of his day. The first paragraph (on the left) contains forty-nine words but only sixty syllables, and all its words are those of everyday life. The second contains thirty-eight words of ninety syllables: eighteen of those words are from Latin roots, and one from Greek. Orwell’s version, while essentially conveying the same message, is far more (needlessly) complex. Orwell’s parody is as true today as it was back when he wrote it. Keep your reading material easy to read! The lead magnet is your chance to make a first impression. Screw it up, fail to deliver upon expectations, over-promise and under-deliver, deliver a poorly curated follow-up campaign, fail to provide ongoing value-based downloads, or fail to convert effectively with an early inquiry and you’ll alienate your audience. Unless you’ve got Earth-shattering NSA-level content to share, your short two-page report doesn’t cut it. In essence, you’re writing a book that reflects directly upon you personally, your business, and your brand. When and if able, your email campaigns should originate form your own email software (all our clients will use a self-hosted platform). While not directly associated with your lead magnet it is associated with how your brand is represented. The purpose of our Magic Lantern methods leans towards how trust is gained, and sending an email from another domain is not conducive to our preferred outcome. This article, while rather long, has presented only the basics of what we expect from a lead magnet. If you’re interested in learning how we will transform your business, call us on 1300 235 433. Our Mortgage Broker Growth Program in particular (orientated around lead generation) returns up to three times more than our five closest competitors in the finance space. Talk to us to find out why.